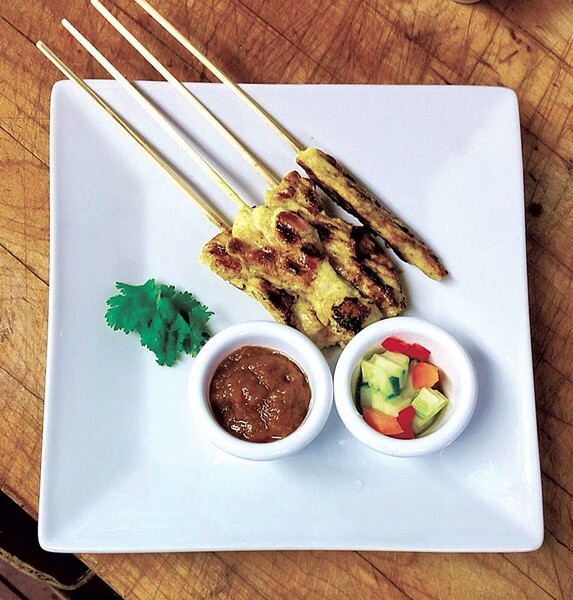 When Nattaya and Bruce Isaacson opened Fit to Be Thai'd at the Slide Brook Lodge & Tavern this summer, it didn't take long for the phone lines to light up. With few Thai options in the Mad River Valley, locals clamored for an authentic taste of the Pacific Rim. As orders mounted, the couple felt the walls of the Lodge's modest kitchen and dining area closing in. In November, they moved the business to larger digs: the former Grill Down Under space at the Sugarbush Inn, at 1838 Sugarbush Access Road in Warren. Not long after, the Isaacsons quietly opened for takeout, fielding requests for Nattaya's homespun Bangkok-style cookery via phone and web. Once again, the calls poured in for her spring rolls, dumplings, coconut soup and spicy salads. The menu touches on all the familiar basics — spicy basil or ginger stir-fries and noodle dishes such as pad Thai, pad si ew and Drunken Noodles. Curries are simply "red," "green" or Massaman, and the sole dessert is mango with sticky rice. Last week, the restaurant secured a liquor license: Bar items include a handful of local draft beers and imported Thai bottles such as Tsingtao and Singha. Now the Isaacsons are working on staffing up for sit-down service, Bruce says. "We're still within our soft-opening phase," he says, noting that, though the restaurant is open from 3 to 10 p.m. every day but Wednesday, service will be limited until more cooks and waitstaff are on board. "The last thing we want is to have people wait," Isaacson says. "At this point, even with to-go orders, I'll have people call me back in half an hour and let them know when we'll start taking orders again." Why all the fuss? Bruce Isaacson says it's the quality: "This is Thai food based on home recipes. And that makes all the difference." Aside from the noodles and rice, his wife makes everything — stocks and dumplings, wontons and spring rolls — from scratch with fresh ingredients. "Nothing is parboiled or packaged," he says. "We make everything ourselves, and that is really what's special about this." Given the labor that goes into each dish, the restaurant's chosen price point precludes sourcing many ingredients locally. (Apps, salads and soups average $5 to $6, while entrées run $11 to $13.) But the couple is working out a plan to offer local veggies and meats to customers who want them for a modest upcharge, just as bar patrons can request a drink with top-shelf liquor. That choice, Isaacson says, will eventually be available to online take-out customers with the click of a button. The original print version of this article was headlined "Thai Down Under"